Golf Course Homes: Not Just for Golfers Anymore! A golf community lifestyle is something that many people dream of. Retirees or nearly retired people may consider a golf course home when searching for the perfect home to settle in after their full-time working years. The relaxing and engaging atmosphere is enticing, not to mention the easy access to quality golfing. Avid golfers are taking advantage of two pricing factors from the last decade: the abundance of golf community homes that were built during the niche boom (late 1990s and early 2000s) and the current slow-to-recover real estate market. The National Golf Foundation reported peak demand for golf course living in 2005 with 16,052 golf courses. Each year since, the totals have dropped--reaching 15,890 in 2010. Conversely, did you know there is a subset of golf community dwellers that enjoys this same lifestyle and never plays a game of golf or even owns a membership? Families have realized the convenience and opportunities that these tucked-away communities offer. They appreciate the manicured landscapes, the resident wildlife, and the many amenities that are becoming commonplace. Homes in golf communities can include services beyond golf memberships such as spas, clubhouse activities, pools, ball courts, playgrounds, and trails. Often, better than average schools are associated with these areas. Residents also report an overall increased feeling of security and safety. Whether it’s your hope to live on a course to play endless golf or to raise a family in a serene setting, there are several factors to keep in mind when researching golf community homes. Carefully read all documents regarding course access. Although your back door might lead right to the greens, you may be required to use the standard entrance. Close access also means wayward golf balls in your yard or hitting the house. 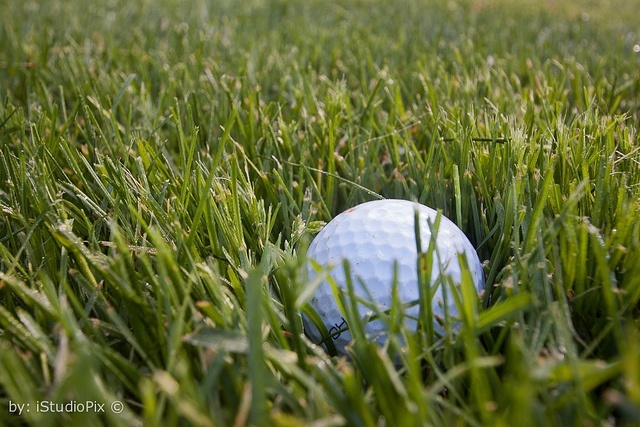 Know that golfers will not be far behind to retrieve them. Will the community allow any type of protection from potential damage? A recent trend has golf courses struggling with bankruptcy--even with high-end designers such as Jack Nicklaus and Greg Norman. In order for a club to stay operational, it requires the majority of its homeowners to pay annual dues or membership fees. Before signing a contract for a new home on a yet to be built course, be familiar with the builder’s track record for producing promised courses. Because developers are failing to provide guaranteed amenities such as clubhouses, it is highly recommended that contracts be signed with contingencies regarding full development. All of the wonderful amenities located in your community may mean high traffic areas and loud crowds during nights and weekends. Manicured courses and lawns require large amounts of water and fertilizer. How will your property be affected by waste water? Is it important for your community to follow responsible or “green” landscaping practices? MilitaryByOwner has many new and updated advanced search features, including the options to search for homes with properties located on golf courses or homes with access to courses. After choosing your state and base preferences, you will find the “Advanced Search” box. Under, there is a drop down box labeled “Search Features.” Choosing “Special Features” from the list will offer the option to search “Golf Course” properties.